Cloudinary helps thousands of websites and mobile applications to manage billions of images. 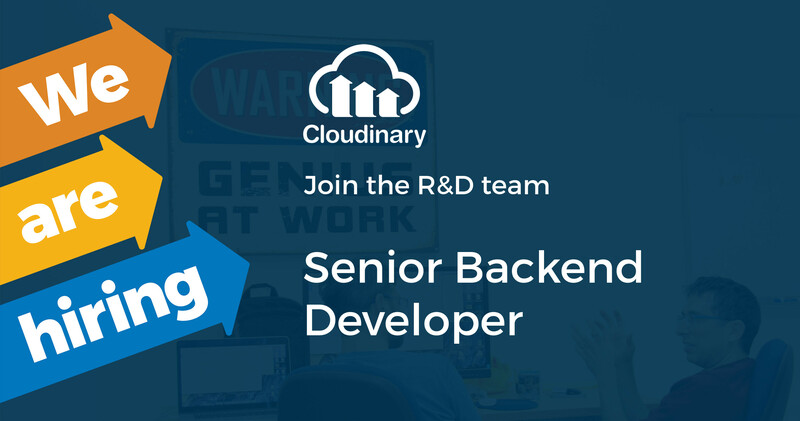 We are looking for an energized, brilliant and creative senior backend developer to join us and work on unique challenges of scale and complex functionality while keeping the product fast and simple to use. Build the next generation of Cloudinary's image and video management service. Scale a fast growing platform that serves billions of images and videos. 5+ years experience of application design and development. Experience in working with high scale, distributed cloud-based architectures and AWS specifically. Experience with image processing and manipulation.